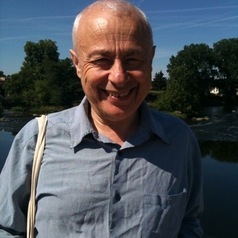 Previously David Toke worked in journalism and school teaching. He studied for a PhD at the Department of Political Science and International Studies (POLSIS) at the University of Birmingham from 1997-2001 before becoming a Research Fellow in POLSIS. In 2006 he became a Senior Lecturer in Environmental Policy and later Senior in Lecturer Energy Policy in the Departments of Sociology and POLSIS at University of Birmingham. He joined the University of Aberdeen in April 2013. In 2017 he published a report foth Scottish Green Party talking about how Scotland could implement a wind power based electricity policy. He continues to write journalism, with recent articles appearing in the 'Huffington Post', 'Energy Economist', 'Utility Weekly' and numerous letters appearing in the Guardian and other newspapers. a) the politics of integration of EU energy markets. What are the implications of this for EU integration theory? b) Comparisons of politics of nuclear power in different countries - including a paper comparing nuclear power outcomes in the UK and Germany and another paper comparing the UK with Scotland. These analyses involve deploying social movement theory.